Global Seminars: Habari za leo!? What’s the news of the day!? Habari za leo!? What’s the news of the day!? 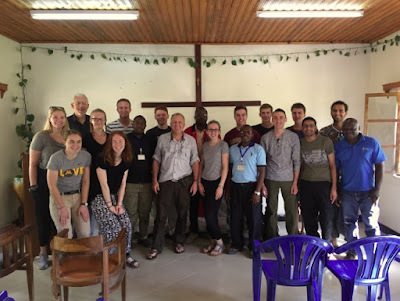 Today marked day five in Tanzania and our third day in Iringa. The day presented many opportunities to have fun while also learning much about the culture of the region. Today marked day five in Tanzania and our third day in Iringa. The day presented many opportunities to have fun while also learning much about the culture of the region. To begin the day, we met with General Secretary Chavala, a leader in the Tanzanian organization partnered with the St. Paul Synod. He took time to explain to us the importance of the partnership and the vital work being done in the region due to it. He emphasized the three goals of the partnership: prayer, visitation, and programs. After a brief coding session in preparation for our upcoming design work, we had free time to explore Iringa. 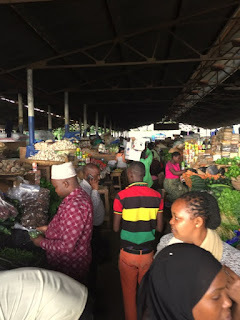 Armed with our newfound Swahili skills we explored the various markets including the produce and Maasai markets. Some students also explored a local history and culture museum for the Iringa region. For dinner we visited Mama Iringa’s where we were treated to authentic pizza with local ingredients. 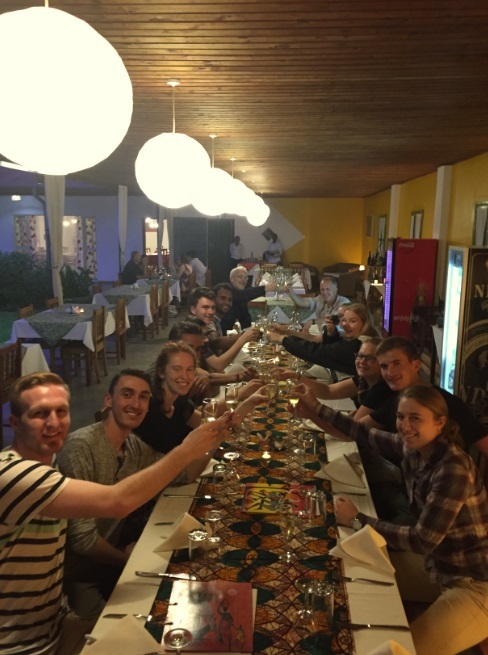 We gave a toast to our new friendships and good luck on the rest of the trip.